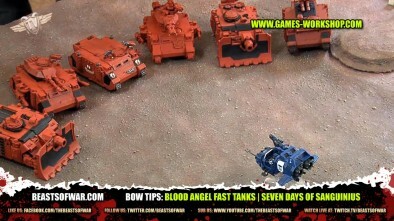 Warren and Darrell talk about the Blood Angels and their Fast Tanks. Doesn’t having fast mean you can move 6″ ans still fire all your guns though? This is very handy for normal predators. Thats the best Thing ever happend to normal Predators! Move 6 ” and you still can get all your las and auto shots to that one damn chimera that moved just out of sight to threaten your objective. And look at the survivabilities in the new “bs modifier chart”! 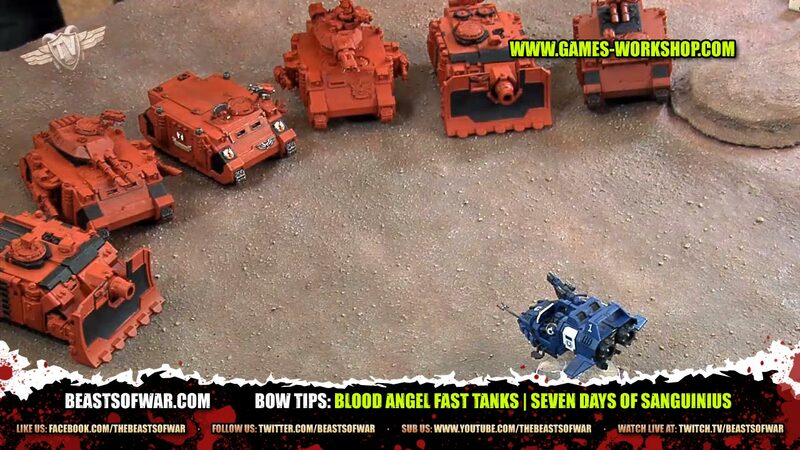 Baal Predators can Scoutmove Flatout, Razorbacks can go 12″ and still fire their weaponry or for an plasma/laser RB 6″! but you really can get use out of the rapid fire range of the plasma. Rhinos whith Melterguys in it want to be fast. Tank + more speed = time for ramming fun.